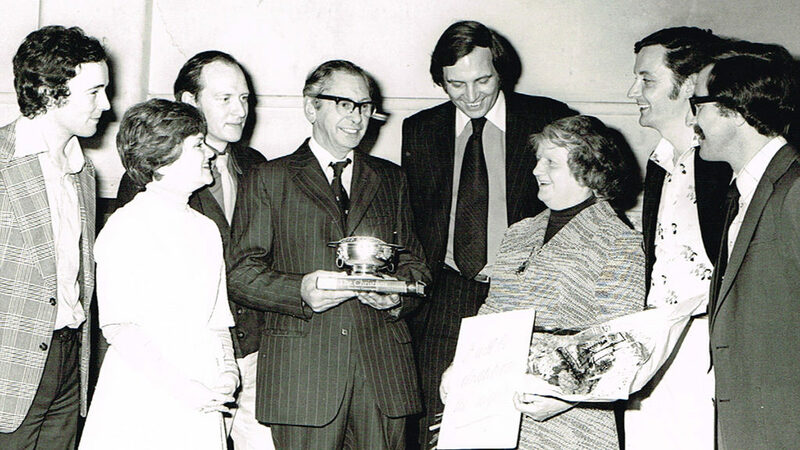 The Drama Club closed on the retirement of Cyril Malyon from his teaching and youth work career in 1977. However, it was not, as this photograph shows, without this being marked by past and present members expressing their appreciation for what he achieved over the Drama Club’s 20 plus years! 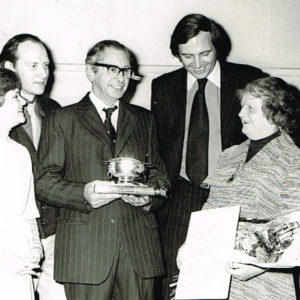 A full photo gallery of the ‘Farewell & Thank-You’ event held at the ‘Markhouse Theatre’ on the 21st October1977, is shown in the Website’s Re-Union Page.